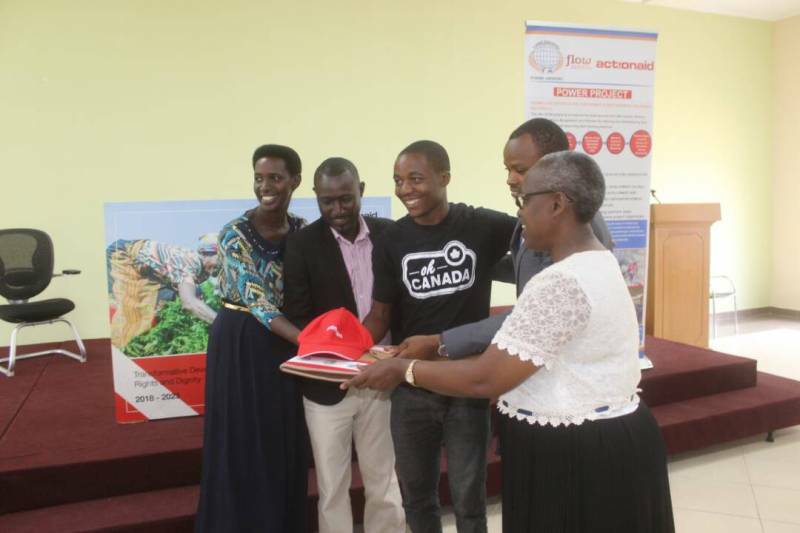 Jean Claude Habimana, the journalist from Radio Salus, was awarded the second Action Aid award about reporting on issues facing women’s development. He was awarded the best winner among fourteen journalists who had participated. The award was organized under the theme “Women’s unpaid care work” whose ceremony took place in Kigali on December 18, 2017. 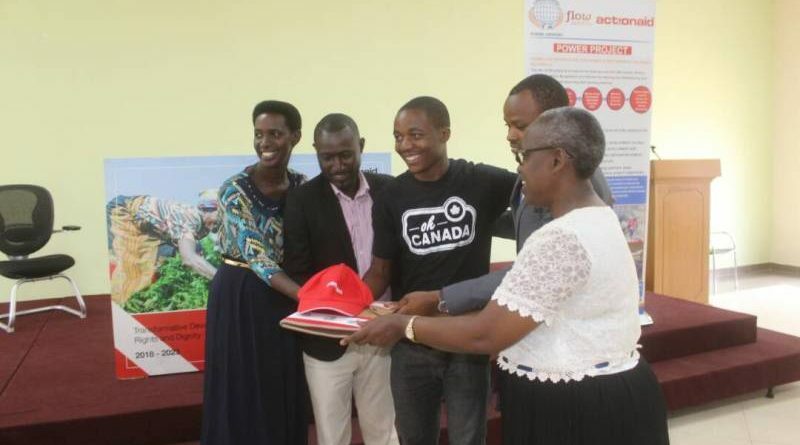 It was the second award for Habimana, as he had been awarded the second winner’s award in 2016 by the same initiative. Habimana won the competition at 80.6 marks, followed by Donah Mbabazi from The New Times with 71.6 percent. In an interview with The Inspirer, he said that the competition is a key driver of his professionalism, as he manages to go deeper while assessing issues facing communities. His secret to win is attributed to the media ethics and techniques while collecting information. “I followed the media professionalism oriented on women’s empowerment, while trying to elaborate on problems facing rural women, which is not considered domestic work, in my observation; I realized that most of rural women’s activities are not valued by their husbands,” Habimana said. 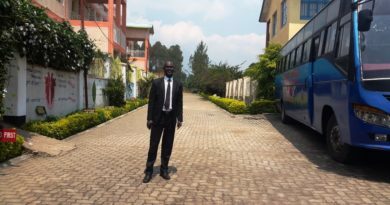 Habimana chose to advocate for vulnerable women from remote areas of the country, as he found that most of their rights are not upheld. 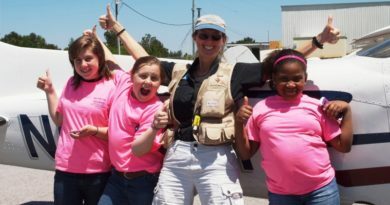 “I would like to see women and children participating in environment conservation, as well as seeing their rights are observed. When women’s rights are respected, their inclusion in the country’s social economic development is also valued,” said Habimana. 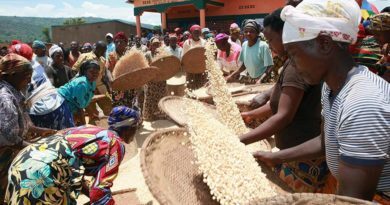 Habimana said that he likes women venturing in agribusiness works to transform their lives as they play a vital role towards contributing to the community development. 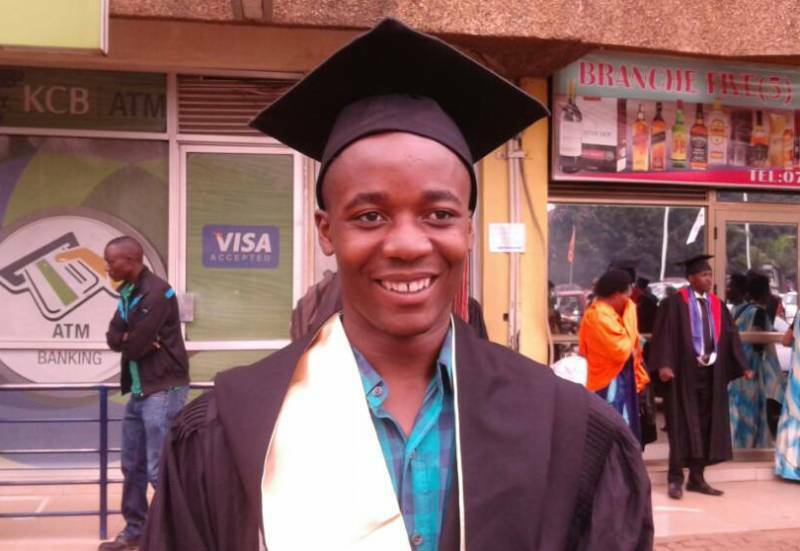 He joined young agricultural professionals for development, and happens to have graduated in August 25th 2017, at the university of Rwanda, college of Arts and Social Sciences in the school of journalism and Communication. He became passionate with science and agriculture, reporting while basing in rural areas. 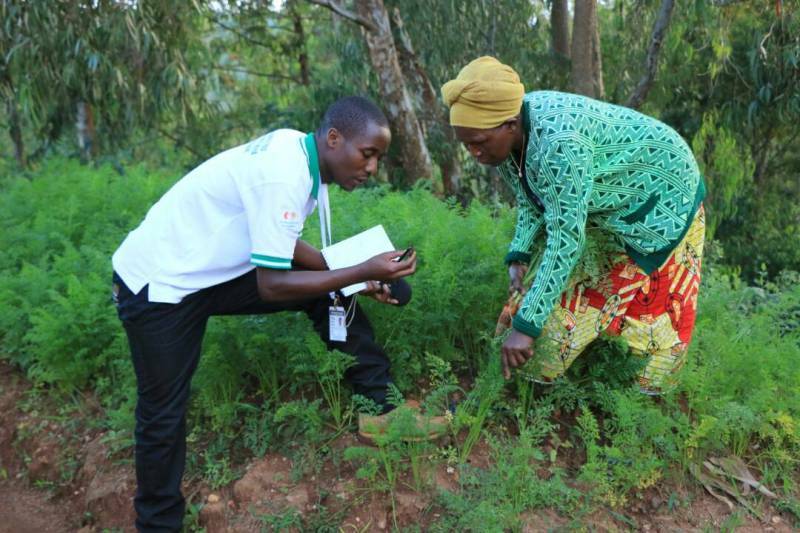 Habimana with a carrot farmer in Nyaruguru dustrict this year, assessing the effects of pests on the plantation.Courtesy. 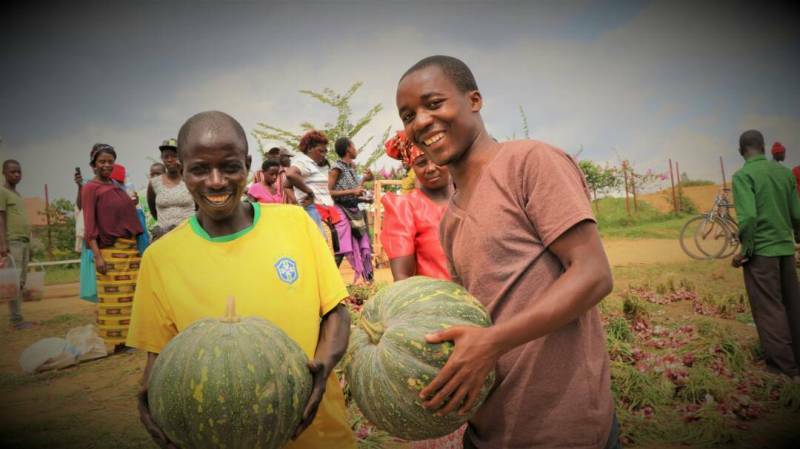 Habimana with a farmer carrying Pumpkins, the journalist is passionate with Agriculture. Courtesy photo.